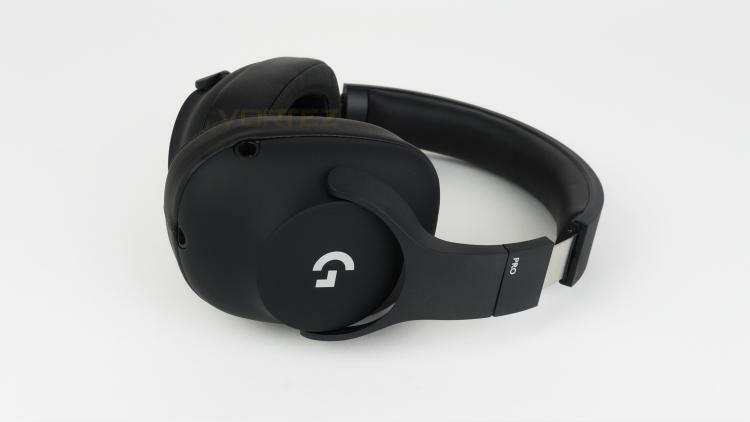 The right side of the headset is predominately semi-matte Black with subtle Silver/Grey Logitech G logo. On the Y-shaped support arm there is some very subtle PRO branding. 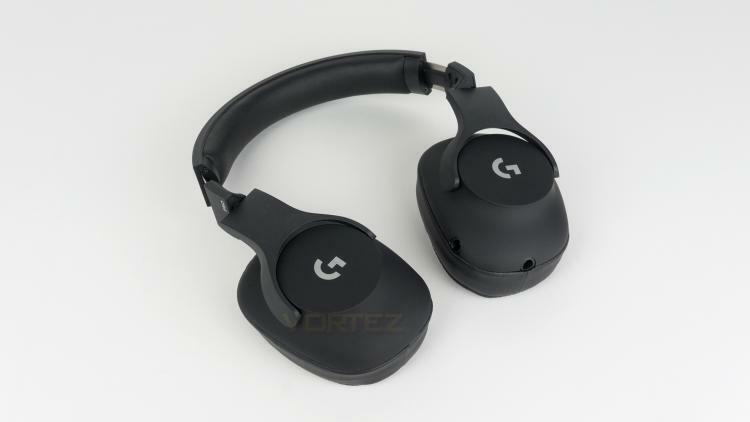 The G PRO also features a swivel mechanism that allows the earcups to be rotated and placed flat on a surface. The left-hand side is identical to the right-hand side apart from the addition of the two ports. One of these is for the removable cable and the other for the detachable microphone. 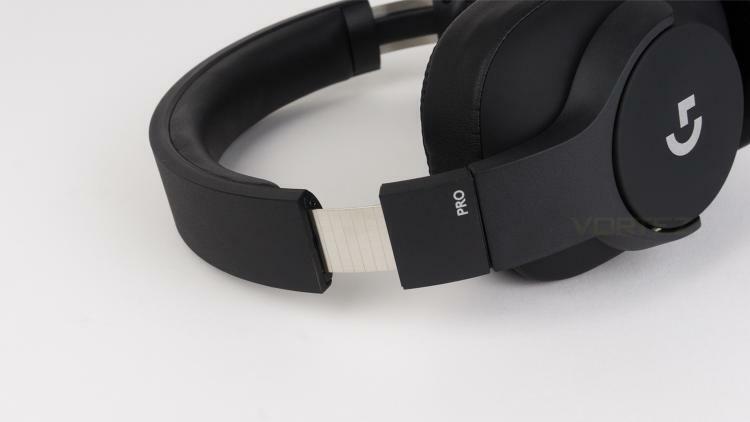 Above the Y-shaped support arm are the headband and adjustment mechanism. The adjustment is made from stainless steel and features some faint sizing markings. 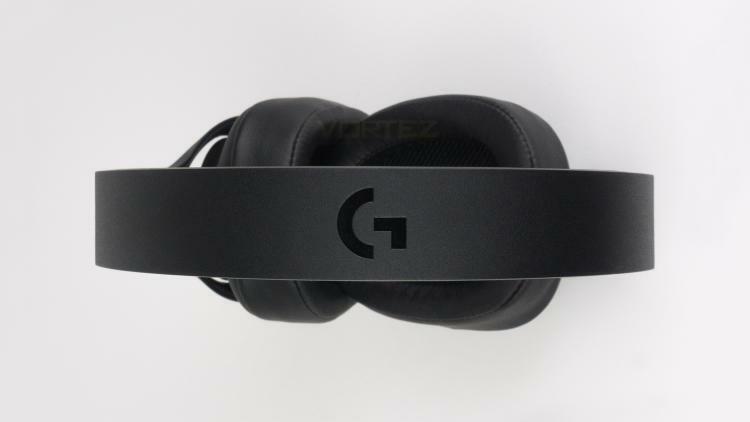 The headband again carries across the minimal approach and only features the Logitech G logo finished in a glossy Black. 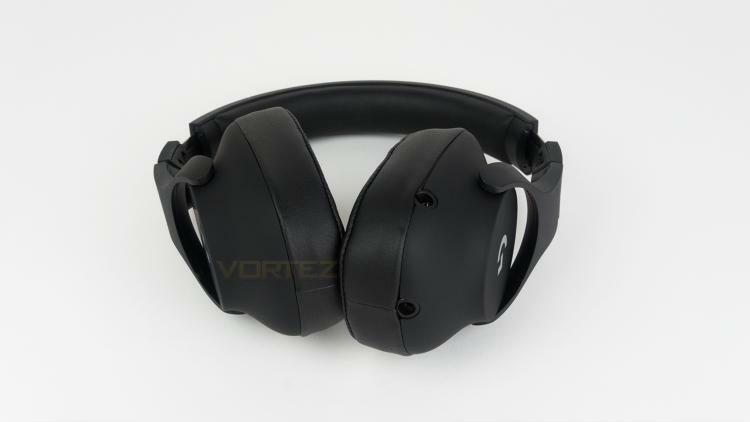 The earcups are very large and are finished in leatherette. 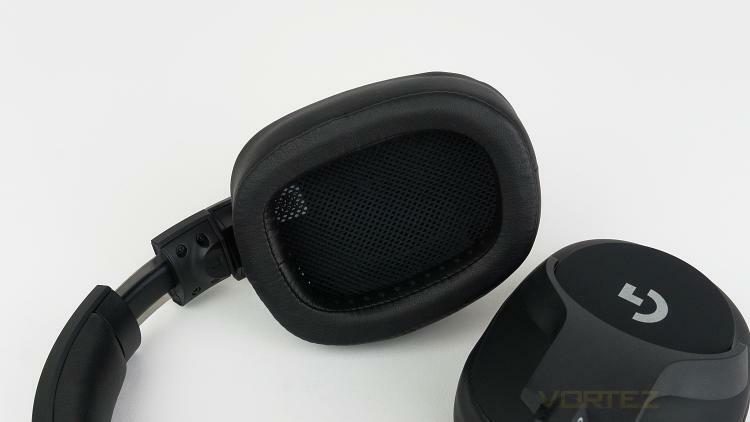 They also have some perforated holes on the interior to help dissipate any heat build-up. 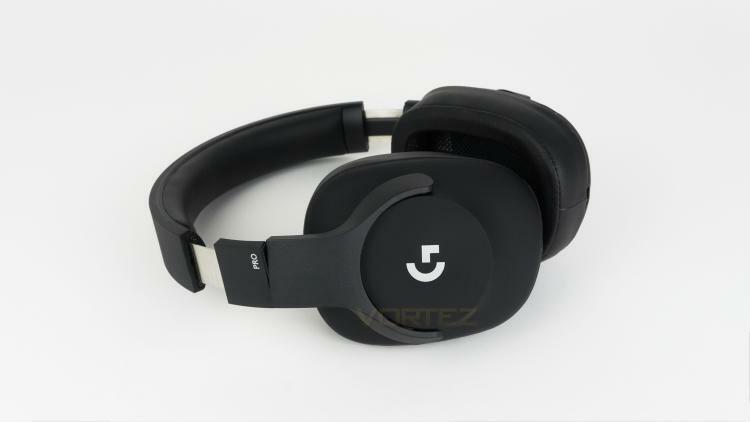 The included removable cable is 2m long a features a soft fabric outer layer. 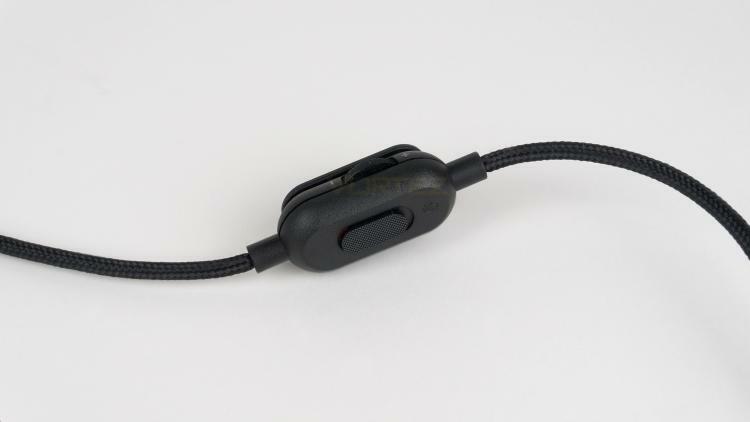 The cable also houses an inline controller that is used to adjust the volume and toggle the microphone on and off.